We will dedicate this month’s WordPress theme to all churches and religious communities, no matter what religion they propagate. 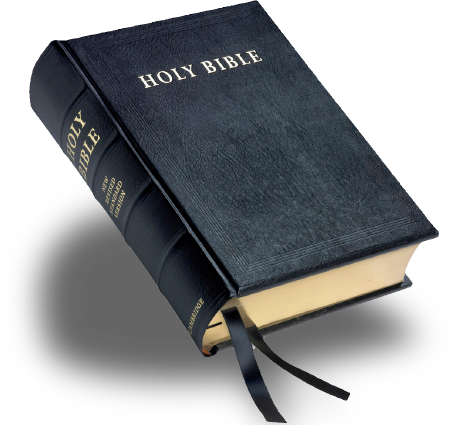 Modern religious communities use modern ways of communication. Beside live communication, they communicate with their believers via Internet through a community website or social networks. 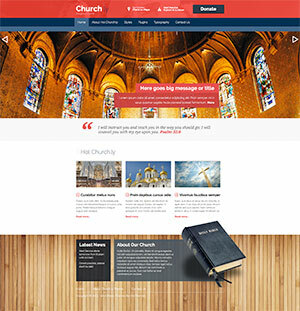 This WordPress theme is designed to help all religious community’s web masters in making of a modern responsive website which will present their church or religion and which will be used for communication with believers. You can use all those great features of WordPress in combination with this theme. This theme will also extend your WordPress and add several plugins (for photo presentations and maps). This theme is based on Sparky Framework for WordPress which means that you can customize it easily using drag’n’drop interface. The theme comes with 3 pre-defined color styles. You can also create your color styles or edit existing in order to make the theme more appropriate for your church or religious community. Responsive theme, 100% tableless and valid XHTML/CSS code. 3 pre-defined styles with different main colors and background images. Each color is easily customizable in theme options page (infinite color combination). Hot Full Carousel ($15 value), Hot Effects Rotator ($15 value), Hot Maps ($15 value), Hot Lightbox ($15 value) and Hot Gallery plugins are included with theme, pre-installed and configured. All commercial plugins included in this theme are free, if you buy theme! HotStart (SQL dump) is available with this theme. This installation method copies the theme with all plugins and demo content. You will get exactly the same site as this demo in all details! 14 collapsible and responsive widget positions. Unlimited widget positions can be added easily within Sparky Framework, if needed. Menu system with drop-down submenus. You can control all WordPress menus through the framework. Tested with IE7+, Firefox, Chrome, Safari, Opera (on both Windows and Mac OS).